Some days ago, I saw a wholesome collection of organic foods which were showcased in a company. There were only 3 companies that participated but there were so many products on display and I felt like I had walked into someone’s kitchen. Akshayakalpa, a company that manufactures and sells organic milk, curd, ghee, butter, khoa and paneer, kept samples of their organic buttermilk and the visitors couldn’t stop drinking it. It was so delicious! 24 Mantra had displayed almost every dry ingredient that is used in the kitchen – grains, millets, dals, spices, honey, sugar, jaggery, juices and breakfast cereals – all organic! Visitors were surprised to know that there was such a wide variety of organic foods in the market! Buffalo Back, which grows and sells organic vegetables and seasonal fruits, was a crowd-puller. I had not seen such fresh and clean greens in a long time! The vegetables were not only fresh but also were cleaned well before selling……what a bonus! 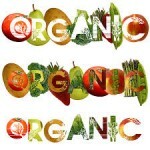 Do try the organic foods sometime. You might end up eating only those because it’s good for your health and the health of our planet! 0 Comments | Posted by admin at 4:51 am. Leave a comment! A friend once remarked “I don’t buy this brand of bread because mold doesn’t grow on it if its kept aside for a few days”. Interesting observation. Recently I attended a talk on organic foods and sustainable agriculture at the Navadarshanam farm. 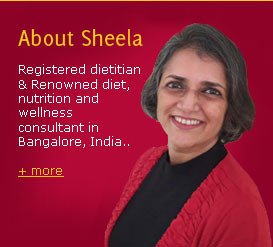 The speaker highlighted on additives being used in foods to increase shelf life. This got me thinking of my friend’s remark. Perhaps we should look for foods that attract insects, pests, mold and other types of fungi. If they can eat it, the food is probably safe for our consumption too! But if the food is covered with pesticides and other chemicals, perhaps we need to stay away just like the insects do!! I think the solution lies in eating organic foods or pesticide-free foods, well before the mold or insects start attacking it. 1 Comments | Posted by admin at 9:11 am. 1 comment.